DomoSapien: Quick heads-up for ya, Tankers! If you've got any burning questions about any of the vehicles being offered during the Advent Calendar sales, Mountain_Man has got you covered! Well our resident Lumberjack (RIP, Mountain_Man's glorious beard, October 2018) is going to be showcasing the featured Advent Calendar sale on his stream every day this month! 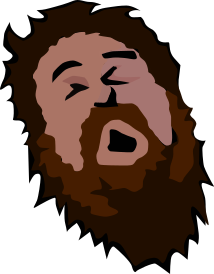 Legend has it that, if you stroke his beard, you will instantly be transported to his Twitch Channel!